Linde Material Handling, manufacturer and solution provider aims for a material flow solution perfectly matched to each customer and application. This week saw the delivery of 200,000 customised options to our customers. 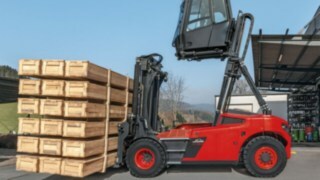 Linde Material Handling has a broad product range, offering 85 different product lines as part of its industrial truck portfolio, with over 6,000 equipment variants. But this manufacturer and solution provider is capable of much more, addressing customer needs individually and offering tailored modifications directly ex works. In focus at all times: The customer and their specific requirements. “Each order is different“, says Klaus Müller, Head of Linde’s Customised Options (CO) Department: “To name just one example, while much of our equipment is used in cold storage warehouses, some has to be used under the desert sun. 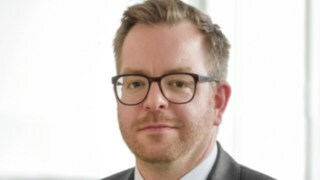 We try to respond to every special request and offer every customer a tailor-made solution.” Buyers appreciate this: “Currently, 45 percent of all orders received by Linde Material Handling are for customised options“, says Müller. Ready for delivery – the 200,000 customised options with Klaus Müller, Head of the Customised Options (CO) Department of Linde Material Handling. This week, we responded to 200,000 such orders and delivered solutions to our customers. 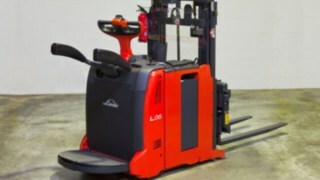 The French company Geodis Logistics had ordered an Linde H35 LPG-powered forklift, with a special request for a safety feature: an automatic engine stop. The engine switches off and the brake engages automatically as soon as the operator leaves his seat. Over the past few years, Linde Material Handling has accommodated a wide variety of special requests. Some of them later went into series production, others presented a technical challenge, while still others needed “only” optical adjustments to suit the customer’s tastes. A forklift truck for operators with a disability: There’s an operator working for Lithonplus in Schönewalde (Brandenburg) who has lost a leg. In response, Linde Material Handling constructed a counterbalanced forklift truck that can be operated using either one or both legs. This forklift truck can be driven by people with physical disabilities and those without. A flat palette solution: An international furniture group was looking to use corrugated cardboard pallets instead of wooden ones. Since they are much flatter than conventional pallets, the group’s warehouse handling equipment was no longer up to the job. 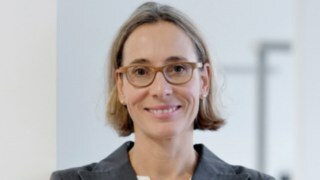 Linde responded by converting some of the equipment and is already offering it as a product line in regular production. 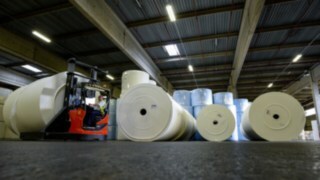 A Pinocchio nose: The paper industry commonly uses bale clamps to transport rolls weighing several tonnes. But they are prone to frequent damage, rendering a 100 kg of paper unusable. 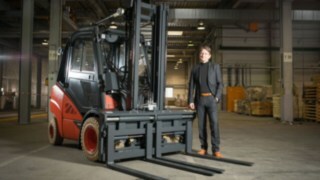 Linde developed a “Pinocchio” reach truck that “impales” rolls using its nose, which helps to significantly cut waste. The cardboard sleeve of the paper roll lies on a reel which is 3.10 metres in length and 23 cm thick and looks a little like Pinocchio’s nose. A wooden joystick: Alfing, a foundry, was facing exceptionally severe wear and tear on its joysticks because of ambient conditions. For them, Linde Material Handling developed a joystick knob made from wood. The joystick has won many fans among allergy sufferers and has become popular for aesthetic reasons. A panoramic view: High and bulky goods to be transported – a daily occurrence at a wood-processing plant. The forklift drivers often struggled to keep track of what was going on around them from the cab. Linde now offers them a mobile cab that can be lifted to a height of 5.48 metres, affording the operator a full view of his surroundings. High up with this CO – the hub cab means drivers always have a clear view, even with bulky goods.